The Avenue or Alley of the Baobabs is a prominent group of baobab trees lining the dirt road between Morondava and Belon’i Tsiribihina in the Menabe region in western Madagascar. Its striking landscape draws travelers from around the world, making it one of the most visited locations in the region. It has been a center of local conservation efforts, and was granted temporary protected status in July 2007 by the Ministry of Environment, Water and Forests, the first step toward making it Madagascar’s first natural monument. Baobab trees, up to 800 years old, known locally as renala (Malagasy for “mother of the forest”), are a legacy of the dense tropical forests that once thrived on Madagascar. The trees did not originally tower in isolation over the sere landscape of scrub but stood in dense forest. Over the years, as the country’s population grew, the forests were cleared for agriculture, leaving only the baobab trees, which the locals preserved as much in respect as for their value as a food source and building material. 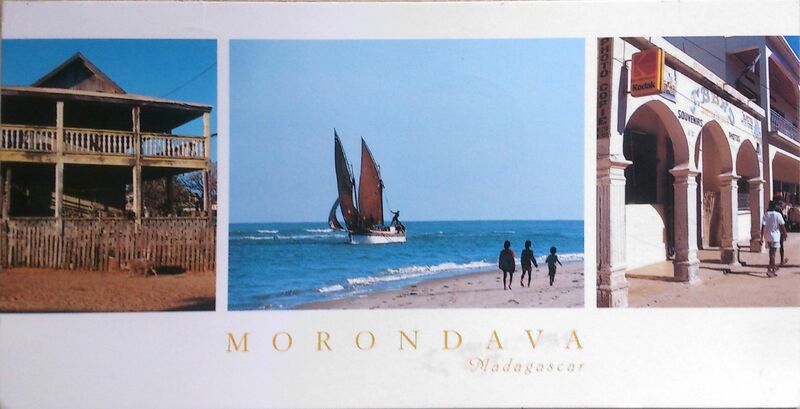 Morondava is a coastal town in the West of Madagascar. Many people come here just to see the magnificent Avenue du Baobab right outside town. The giant trees, some a thousand years old, stand regal guard in an almost straight line along a rich earthen path that’s a joy to walk down. Morondava is also a good place to organise a visit to Parc National des Tsingy de Bemaraha further north. The area around Morondava was once the epicentre of the Sakalava kingdom, and home to burial grounds with erotically carved tombs for which the tribe is famous. Sadly, nearly all the sacred tombs have been destroyed. They were pillaged to the point of destruction decades ago.